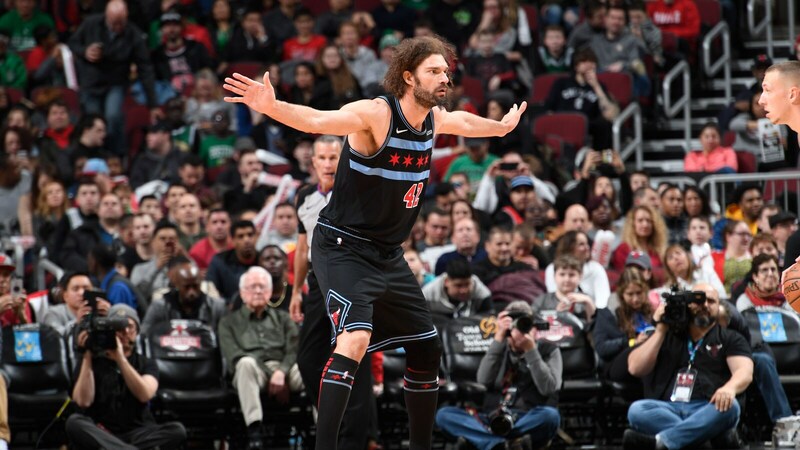 There was plenty of significance to the Bulls impressive 126-116 victory over the Boston Celtics Saturday in the United Center. So there was considerable importance in the win, though perhaps nothing to match the debut of Attack & Finnish. They might just need one of those nicknames. Zach-L and L-Mark? C’mon, this may have been the beginning. The Bulls raised their record to 16-44, so ABC and ESPN are not changing the TV schedule of games quite yet. But the first stage of building that rockets to playoff success is elite talent, especially in pairs. Perhaps they are starting to ignite. The Bulls just might have their two stars. The Splash Brothers didn’t earn that nickname until a few seasons together; perhaps this is when you look in someone’s eyes and suddenly realize that this could be the start of something big. LaVine and Markkanen Saturday achieved one of those statistical anecdotes becoming the first Bulls teammates to score at least 35 points in a game since — you know what’s coming — Michael Jordan and Scottie Pippen in 1996. No one is going there quite yet, but this also isn’t just happenstance or an oddity. 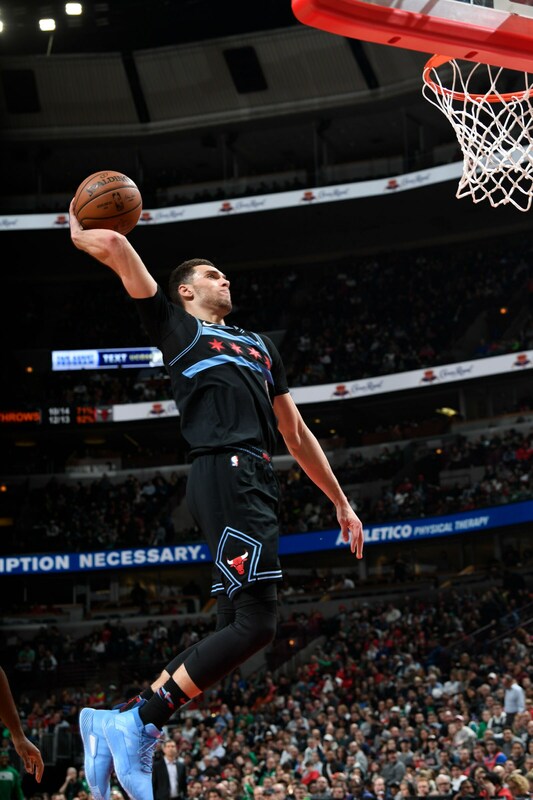 LaVine has been among the league’s leading scorers all season, averaging close to 30 the first few weeks when the Bulls were exhausting the limit of G-league subs with multiple injuries and now still averaging 23.1 per game. LaVine had a 40-point game earlier, though in double overtime. But LaVine also is developing a vital all-around game, among a very few players in the NBA averaging 23.1 points and at least five assists and five rebounds this month along with shooting 50 percent on threes. 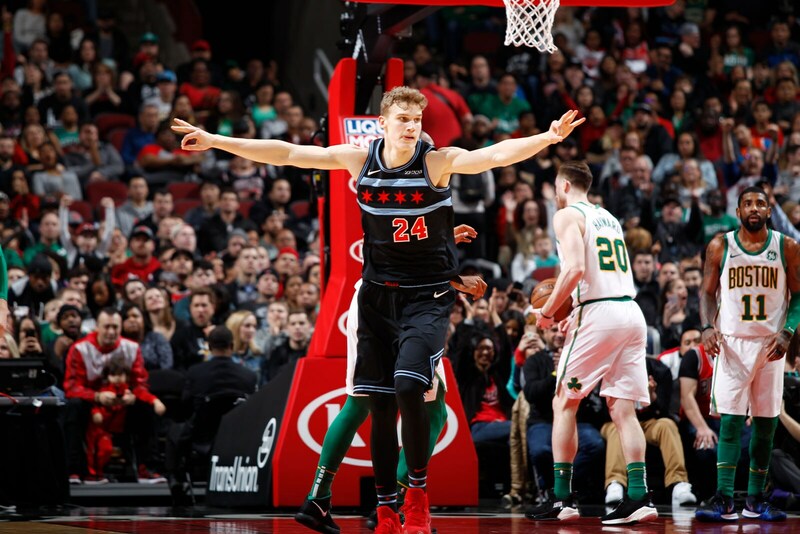 For the last month, Markkanan has been one of the most productive all around players in the NBA, averaging 23.8 points and 12.8 rebounds the last 12 games and in eight February games 26.5 points and 12.5 rebounds with games of at least 20 points and 10 rebounds in seven of the last 11. He’d have seven straight 20/10 games if the NBA didn’t adjust a statistic to deny him a rebound against Memphis last week. He’s scored at least 30 points in half the games this month. And now Zach’s attacking with a Finnisher, averaging almost 50 points per game this month combined. With the addition of Porter, whose injury doesn’t seem serious, it could be, dare we whisper and start looking for the capital letters, a three? “He can shoot, he’s seven foot, he can roll, he’s extremely athletic,” said LaVine about his brother in points. “So you can throw it up high to him, he can get the rebound and push in transition. His game is going to continue to grow and I am going to continue to try to grow my game with him. Earlier in the season Lauri was hurt. So we were not able to build that coming off last year. We didn’t get to play a lot together. I feel now we are starting to get into that mode, figuring each other’s games out and (being) two guys you can count on day in and day out, count on those guys to get you a basket. Though it didn’t look that way to start as the Celtics, who were desperate for a win coming off a close loss in Milwaukee, started 7-0, sending the Bulls into a timeout less than two minutes into the game. In that devastating December disaster, the Celtics scored the first 17 points of the game and Boylen benched all five starters, did so again in the third quarter and faced something of a revolt the next day at practice coming off the back to back when teams usually don’t practice. The Bulls are not practicing Sunday. That was after the Bulls got themselves straightened out with LaVine scoring a dozen first quarter points and Robin Lopez adding seven. It was another understated and effective offensive game for Lopez, whose jump hook in the lane has quietly come one of the more effective shots in the game. It was Lopez’ career best fifth consecutive game scoring at least 17 points. He is averaging 15.4 points and shooting 67 percent in February with a stabilizing physical presence, if not a neater hair style. So the Bulls trailed just 33-28 after the first quarter and then stunned the Celtics into a quick timeout with a 10-0 run to start the second quarter and 18-3 behind the Bulls reserves. The Celtics have been a mystery underachiever this season. The consensus has been they have too many good players with the returns of Gordon Hayward and Irving from injuries. So the conventional wisdom is their bench is loaded with starters. 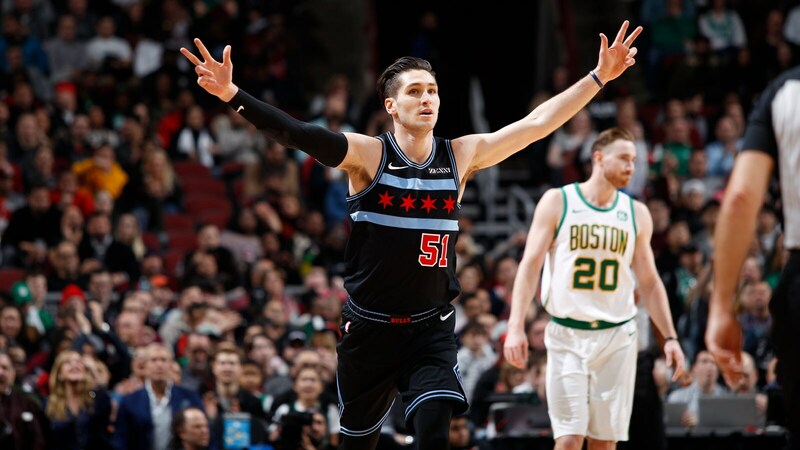 But particularly Arcidiacono, Wayne Selden and Shaquille Harrison, the latter with a wild plus-26 in just 19 minutes and starting the second half for the injured Porter, held off the more celebrated Boston militia. The 126 points was the Bulls high for the season, but no rarity lately with the Bulls averaging close to 120 points per game this month with a varied offensive of multiple ball handler and opportunity play with defensive pressure. The Bulls led 64-51 at halftime, but we’d seen this start of the second half show before. The murmur going through the United Center crowd was of who were those guys. 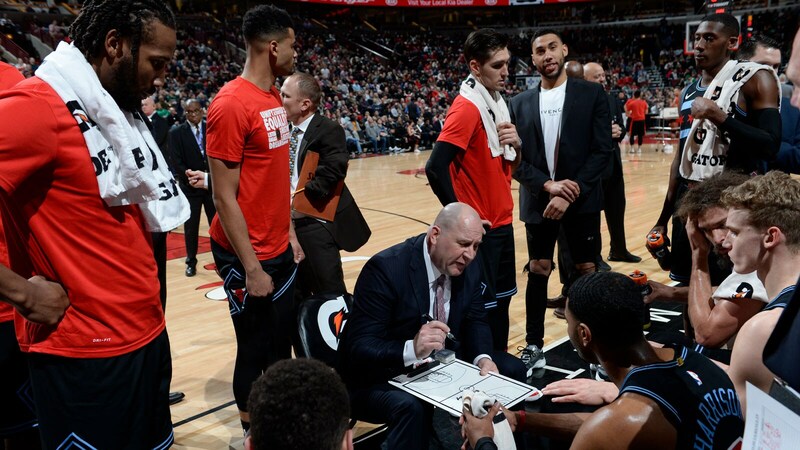 With Markkanen, LaVine and Lopez scoring in eight straight possessions to start the third quarter, the Bulls took an 82-60 lead on a LaVine pull up three in transition after he scored on a reverse with multiple Celtics finding air he was moving to quickly. The Bulls pushed their lead out to 87-62 with 6:25 left in the third on a Markkanen three, and now the Celtics were serious. They got a heck of a run from Brown, 10-0 almost by himself, and Boston was within 94-81 after three. When it was 94-86 early in the fourth quarter, the story was at least the Bulls were competitive and made it interesting. And, hey, anyone seen if Zion played? Just tell 'em we'll have more of these games! Markkanen and LaVine would make sure it was much more than that, the Celtics defenders giving the Bulls all the bumps and bodies they could and Zach on the Attack and Lauri with the Finnish, making shot after shot and adding to Boston’s deficit. Haven’t heard that one much, eh? Just your normal 66-point turnaround between games. Markkanen’s stall is about four to the left of LaVine’s along the same wall in the Bulls locker room. LaVine generally is last to shower, so he was just starting to dress as Markkanen was doing one last interview for Bulls TV. LaVine overheard as Markkanen was being asked about the duo combining for 77 points. Maybe it’s just the start.